Kitchen and dining room designs are everchanging. Most households now choose to have kitchen bars and stools instead of the usual dining table and chair sets in order to save space. This seating is commonly known as counter-height seating and has spurred beautiful bar stool designs in the market. Bar stools can also create a focal point for the kitchen area. Screw top stools complement an industrial designed house. This type of stools is convenient because the height of the seats can be adjusted. They are also a classic design that will not go out of style for some time. Cushioned or padded stools are much more comfortable than the usual hard ones. It can either come with backrests or just a flat-top cushion. The ability to choose the colour and texture of the fabric help homeowners put some character in the kitchen and dining area too. Comfortable seats also make working from the kitchen bar bearable. When we dine, we want to be comfortable in order to enjoy our meals. 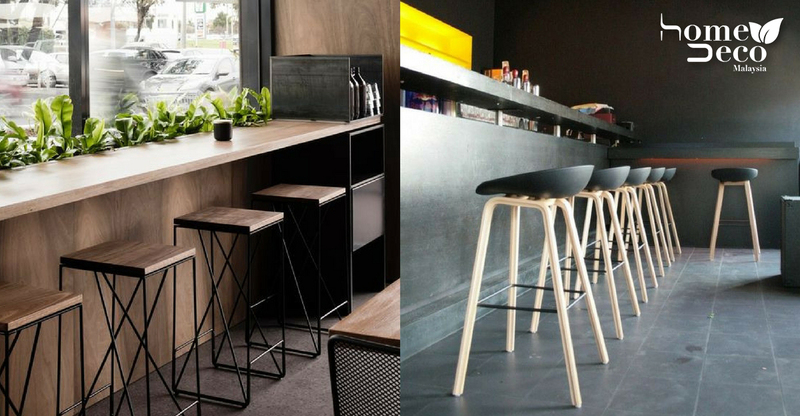 To make hard seats a bit more comfortable, try getting bar stools with backs for some support as you dine. Hard seats can be layered with a separate seat cushion such as the ones available in Muji to make your dining experience comfortable. Wooden furniture never goes out of style and trend. It is a classic and elegant choice that fits most designs and themes. The material has proven that it’s durable and resilient, being able to withstand spills and scratches. To update old wooden furniture, they can be stained or repainted. The suspended bar stools can be customized to fit any decors and save space. Having these bar stools will add uniqueness to the home because most homes opt for the usual bar stools. 10 Design Inspirations To Follow From Mandy Moore’s SoCal Home Renovation!